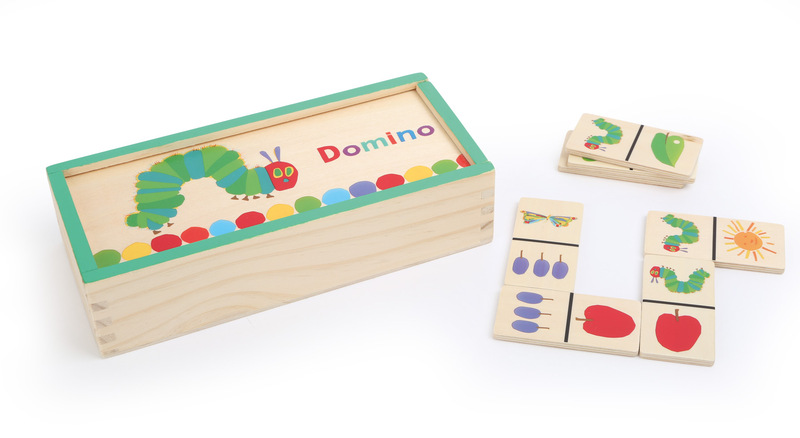 The Very Hungry Caterpillar – famous from the children´s book by Eric Carle – is featured on this super classic game. 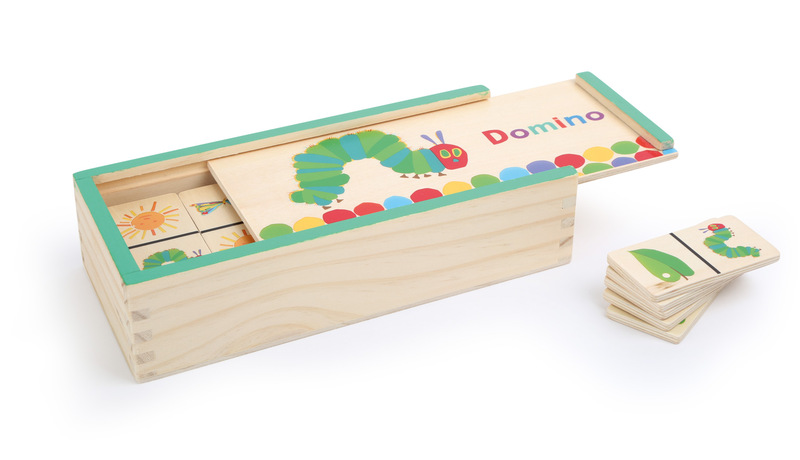 Dominoes - a game that everyone knows. The tiles have to be matched and the first one to use up all the tiles is the winner! Everything can be easily stowed away for transport in the sturdy wooden box. Not for sale in Great Britain, Ireland, Scotland and Wales!